Last month, at his end-of-year press conference, the Philippine Secretary of National Defense Delfin Lorenzana called for a review of the 1951 US-Philippine Mutual Defense Treaty (MDT). Under the terms of this treaty, either side can unilaterally withdraw. Let’s see … We are going to approach this MDT, look at it in the backdrop of what’s happening in the area, in the interest of the nation, not the interest of other nations. The timing of the call for the review is a surprise. 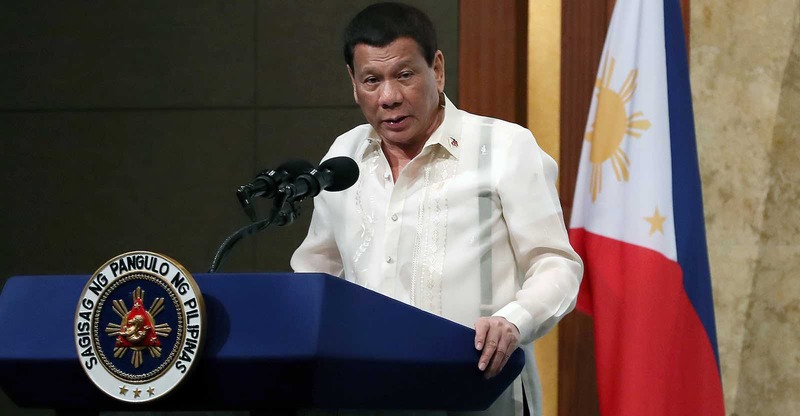 The call came just after the US, earning very rare praise from President Rodrigo Duterte, returned the Balangiga bells to the Philippines more than a century after American colonialist had removed them from the Philippines. The MDT also recently proved its irreplaceable worth during the five-month terrorist siege of Marawi City in 2017. The US involvement has been recognised by the Armed Forces of the Philippines as “shifting the balance” in favour of the government forces. The person making the call is an even bigger surprise, and cause of concern for MDT supporters. While Duterte has criticised the MDT and the US for the duration of his term in office, many, including Duterte himself, have seen Lorenzana as the strongest MDT supporter. Lorenzana’s bombshell is the Philippine equivalent, in effect, to if James Mattis, when he was US Secretary of Defense, had called for the review and possible scrapping of a US alliance. The current presidents of both countries are not known for their subtlety and, for different reasons, repeatedly talk about the benefits of downgrading, not strengthening, US alliances. Over a quarter century ago, the Philippines unilaterally weakened its commitment to the MDT by not renewing the leases on the US bases in the country, thus removing the major strategic benefit for the US of the treaty. Now, according to Lorenzana, the Philippines wants the US to strengthen its commitments under the MDT by extending it to cover the sovereignty claims of the Philippines in the South China Sea that were made long after the MDT was ratified. This at a time when Lorenzana’s boss has declared his personal love for Xi Jinping and personal separation from the US, casting further doubt on the commitment to the MDT of the current Philippine government. Lorenzana’s supporters suggest that the Secretary of National Defence, by coming out against the current MDT, may be playing a subtle game to help ensure a lasting and better MDT, buttressed against local criticisms of the deal led by Duterte. Yet, the current presidents of both countries are not known for their subtlety and, for different reasons, repeatedly talk about the benefits of downgrading, not strengthening, US alliances. If Lorenzana is playing such a game, he is likely to lose it. The best foreseeable outcome for Philippine security is that Lorenzana’s call for a review is never acted upon, as what he wants to get out a such a review is very likely unattainable.